We examine the effect of managerial expectations on asymmetric cost behavior in the context of resource adjustment costs and unused resource constraints. Our results show that the incremental impact of managerial expectations on cost asymmetry is the strongest when adjustment costs and unused resources are high. Conversely, when both are low, expectations have no impact on the degree of cost asymmetry. Furthermore, when the degree of unused resources is high, managerial pessimism is associated with anti-sticky cost behavior but managerial optimism reverses this relation and results in cost stickiness. 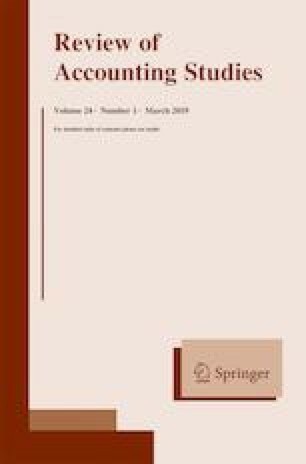 Finally, we find the strongest cost stickiness under the following: a low degree of unused resources, a high magnitude of adjustment costs, and optimistic managerial expectations; by contrast, the strongest cost anti-stickiness occurs when all three drivers operate in the opposite direction. Our study suggests that additional economic determinants should be considered when assessing the impact of managerial expectations on cost behavior. We thank Stephen Penman (editor), two anonymous reviewers, Itai Ater, Feng Li, Dan Weiss, and seminar participants at ESSEC Business School, Northwestern University, the University of California – Irvine, University of Maryland, University of Michigan, Purdue University, Georgetown University, the 2016 American Accounting Association Meeting, the 2017 MIT Asia Conference in Accounting, and the 2017 Tel Aviv International Conference in Accounting for helpful discussions and suggestions. Itay Kama is grateful to the Henry Crown Institute of Business Research in Israel at Tel Aviv University for financial support.